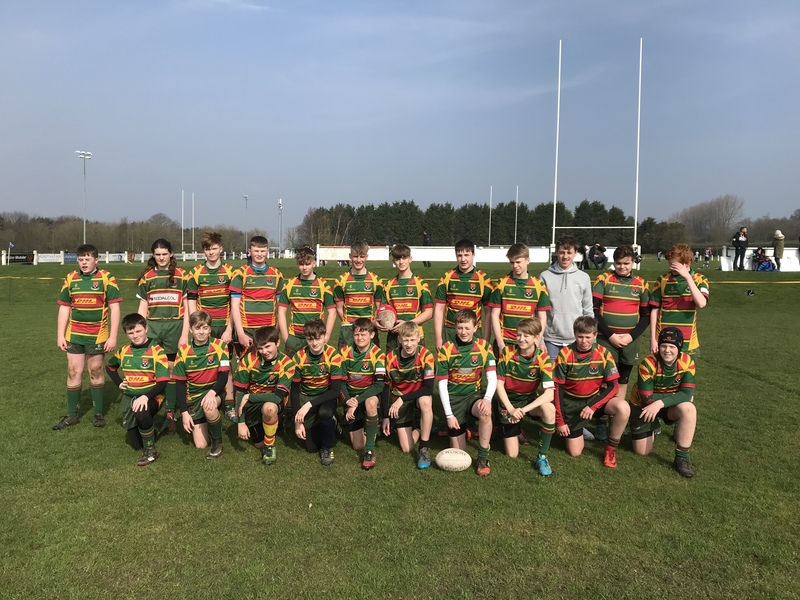 SRUFC U15s travelled to the furthest point north in Yorkshire to play Guisborough in their Sunday Yorkshire Plate semi-final. Guisborough controlled the first 15 minutes of play racking up 2 tries from passes to fast-paced wingers. But Selby were resilient and showed greater strength in drives and tackles. The young Swans’ persistence finally paying off as the ball was played down the line and driven by the forwards for Alterskye to score over the line. However, a third try came for Guisborough, just before half time, as their player side-stepped and evaded Selby’s defence line by fingertips. The second half was dominated by Selby as they relentlessly tackled and drove to keep ball possession in their final pitch quarter. Mason, driven by the forwards again, took the opportunity to touch the ball down over the line to score. A break-away Guisborough player nearly scored again but was brought down by a spectacularly-timed tackle by Abrams just millimetres from the line to the cheers of the Selby supporters. Unfortunately a third try from the young Swans was dis-allowed by the referee. This would have equalised the score and given Selby the win, based on the away team rule in the event of a draw. Selby had a fantastic game and can be very proud of their performance and tenacity to keep going. Their persistent defensive play prevented Guisborough from gaining any score in the second half. Well done, this was a great match which kept the supporters enthralled to the end!